that pride rings out on every street. Sugar Hill is the well-known neighborhood in Harlem that came to prominence in the 1920s and 1930s during the Harlem Renaissance. Written in bouncy rhyming verse, this vibrantly illustrated tribute to the artists, writers, and celebrities that resided there is a beautiful historical and cultural title to include in your library - whether it's a school, classroom, or home library. 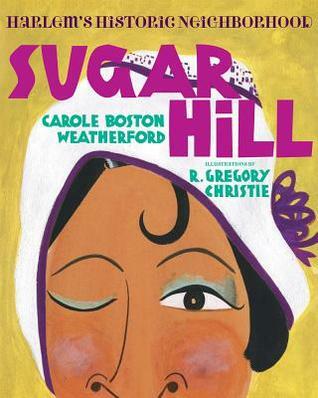 The author's note at the end provides readers with further background information about Sugar Hill as well as well as the famous names peppered throughout the story, such as Duke Ellington, Miles Davis, and Zora Neale Hurston.